Known for following India’s ancient Yoga practice daily, Prime Minister Narendra Modi has big plans to mark International Yoga Day on June 21 by performing Yoga at a mega event himself. Prime Minister Narendra Modi, who is known for two things - his social media stunts and his constant efforts to promote traditional Yoga practice, has big plans to mark upcoming International Yoga Day on June 21. Reportedly, the Home Ministry is busy making security arrangements to protect the country’s VVIPs, who will be present at the event. As per a recent report unveiled by leading daily Indian Express, PM Modi will perform Yoga on a Mega event to be held at Rajpath in New Delhi. He is expected to accompanied by some Cabinet ministers, including Rajnath Singh. 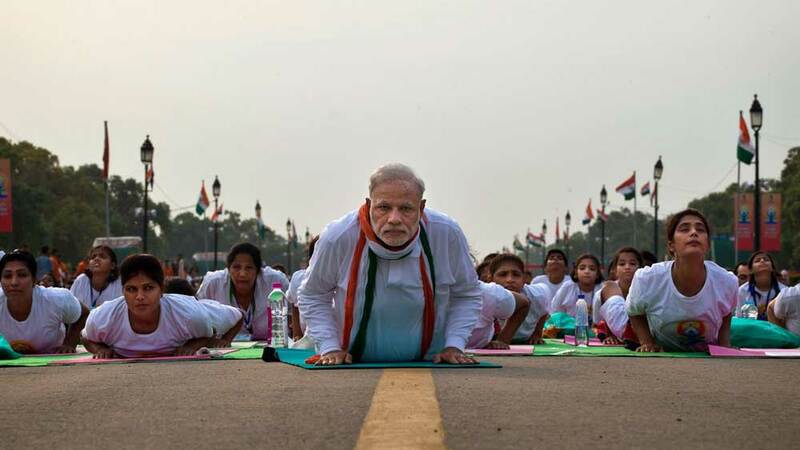 The Express report suggested that the PMO is also monitoring the arrangements and giant LED screens are expected to be put up at Rajpath to focus on the PM doing yoga. Significantly, PM Modi, who is on a tour in China at the moment, has plans to promote Yoga with Chinese Tai Chi and signed a memorandum of understanding (MoU) to set up the first India-assisted Yoga college in China. Reportedly, the first Yoga college in China will have Indian faculties in Yunnan University, which for the first time will bring new standards to thousands of Yoga teachers and institutions mushrooming all over China. JW Marriott offers wellness in China..